Enjoy miles of scenic, secluded mountain trails through Rocky Mountain National Park or Roosevelt National Forest. Each selected to offer you a true mountain experience. Take a short ride and enjoy the spectacular panoramic views of the snowcapped Continental Divide or view the results of nature along Fall River through Horseshoe Park to Lawn Lake. Live your childhood dreams with us! Be a cowboy for an hour or a day! Mountain Whitewater Descents is an outdoor adventure outfitter offering guided whitewater rafting trips, guided inflatable kayaking trips, kayak instruction and equipment rentals on Colorado's only "Wild and Scenic" River, the Cache la Poudre. Conveniently located only about 80 minutes from Denver and Estes Park, the Poudre offers some of the closest, most exciting, and still somewhat unknown, whitewater rafting in the state. The river starts in the snow capped peaks of Rocky Mountain National Park near Estes Park, then twists, turns, and tumbles through cliffs and rock spires. Its almost continuous rapids keep your adrenaline flowing, and the chances to see eagles, deer, black bear, and big horn sheep will keep your eyes open. Rapid Transit Rafting is Estes Park�s only hometown rafting company. You just come to the Estes Park High School and relax - we�ll take care of you from there. No searching for the river because we are the only raft company offering TRANSPORTATION FROM ESTES PARK. Never been rafting? You�re our specialty. 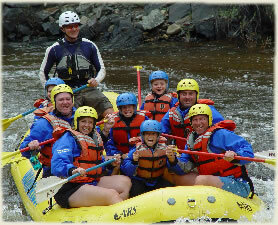 We have offered family whitewater rafting trips for 25 years under the same ownership. Been working too hard? Get away from it all! We�ll take you to the top of the world over Trail Ridge Road through Rocky Mountain National Park for our scenic whitewater trips on the Colorado River. Did you say rapids? We have morning and afternoon whitewater trips on the "wild and scenic" designated Cache La Poudre River. See you this summer! Relax - WE do the driving! A Wanderlust Adventure — Creating lifelong memories and celebrating 26 years of exciting whitewater rafting on Colorado’s only “Wild and Scenic” river, the Cache La Poudre! Near Estes Park and Rocky Mountain National Park, Wanderlust offers beginning to advanced half and full day adventures for families and thrill seekers alike! Less crowded than other rivers in Colorado, the Cache La Poudre provides more of a wilderness experience with scenery that is breathtaking! Most days fill up quickly due to our regulated limits so advanced reservations are highly recommended. Experience a whitewater adventure with Wanderlust and see why we are the best in the business! Whitewater Rafting near Estes Park on the “Wild & Scenic” Cache La Poudre River! Estes Park's only hometown rafting company providing family whitewater trips with transportation from Estes Park for 25 years! Estes Park Aerial Tramway Co. There are six tennis courts (two are lighted until 11:00 pm) located at Stanley Park. Reservations are not required, but are suggested. Reservations can be made through the Estes Valley Recreation & Park District. Residents, $11 / $16. Nonresidents, $13 / $18. After 3 pm, $9. Pull carts - $3. Reservations up to 7 days in advance. Club rental $6. No metal spikes. No children under 9 years of age. 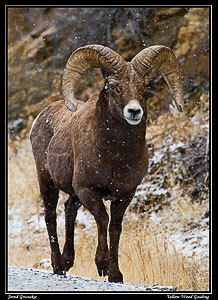 Yellow Wood Guiding offers private, customized Wildlife, Nature Tours & Photo Safaris in Rocky Mountain National Park. Take better pictures and see more wildlife. All tours are private and limited to 4 people. Tour options include: Wildlife Safari, Nature Tours, Wildflower Walks, Snowshoeing Tours and Photo Safaris. Open year-round; 4, 6, and 8 hour tour options available. Family owned and operated, full pro-line fly shop and outdoor retailer, offering guided trips into Rocky Mountain National Park. 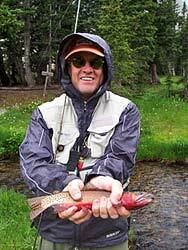 Kirks Fly Shop and Mountain Adventures is a family owned and operated, full pro-line fly shop and outdoor retailer, offering guided fly fishing trips throughout Rocky Mountain National Park and the surrounding area, as well as private trophy waters. We are also outfitted for overnight backpacking, llama pack and horseback trips into Rocky Mountain National Park, so call now to reserve your Rocky Mountain Adventure!